© Getty Images If you're not sure what to tip your hairdresser for a $100 hair color or that $40 cut, we asked industry experts to answer the tough questions. 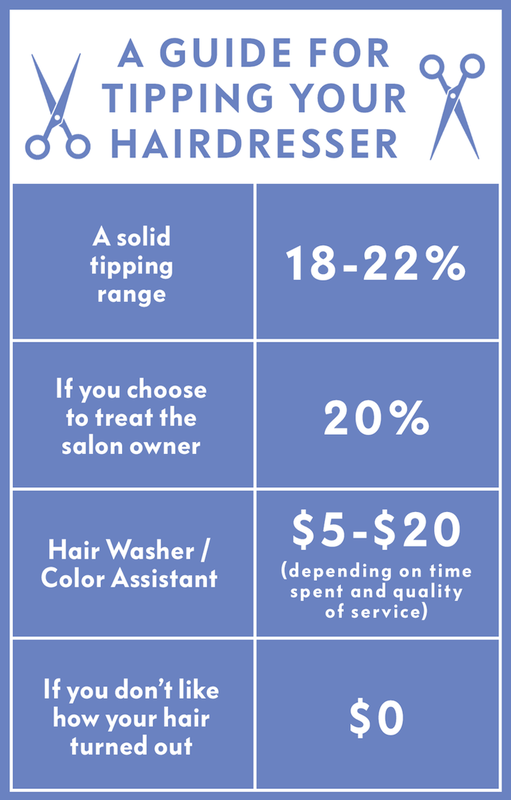 If there's one thing that can take you from cut-and-blow-out bliss to anxious, it's figuring out exactly how much to tip your hairdresser at the end of your service. You certainly don't want to be stingy, but you've also already shelled out $200 on that fancy balayage. Do you really need to spend an extra $40? To take the guesswork out of it, we talked to two industry experts-director of salon operations at Devachan Salon, Rebecca Matthews, and Nunzio Saviano, owner of his namesake New York City-based salon. First: Do you have to tip? While Saviano points out that a long-term relationship with a client usually results in a tip, it's still not something he expects from all of his customers. Even after 30 years in the business, there are times when he isn't given a little extra something on the side-which he understands. "A stylist would appreciate anything," he says. "They'd rather have you in the chair than not." When you get a $100 hair color, how much is expected? "The industry standard for gratuity is within the range of 18 percent to 22 percent for excellent service," says Matthews. She also points out that the percentage doesn't change based on the service (say, a cut versus a color). Saviano agrees, suggesting that you start at 20 percent. So for say, a $100 highlights, you'd give $20. And a $40 cut? An $8 tip. Anything more or less depends on how you feel about the end-result, or your comfort-level with the hairdresser. For example, 15 percent works in times where you're trying out someone new, while as much as 30 percent is a nice move if you're especially happy with your new look. What if you don't like how your hair turned out? First, experts urge you to always remember that it's your money you're spending. If the results of a salon trip leave you less than pleased, it's warranted to hold back on the extra money. "Tipping shows gratitude to those who have served you well, but it's not a requirement," Matthews explains. "Ultimately, stylists recognize that tips are extended out of gratitude for great service and would not want to accept a tip if you were not pleased." If you're wary of burning a bridge with your favorite stylist, she advises that communication is key. Give them a chance to redeem the experience by explaining why you're unhappy. If the adjustment, which is typically complimentary, still isn't up-to-par, it's your prerogative not to extend a tip. "They will not take it personal. No reputable stylist will want you to leave their chair unsatisfied, and should make every accommodation to find a solution," she says. Is your hair type a factor? 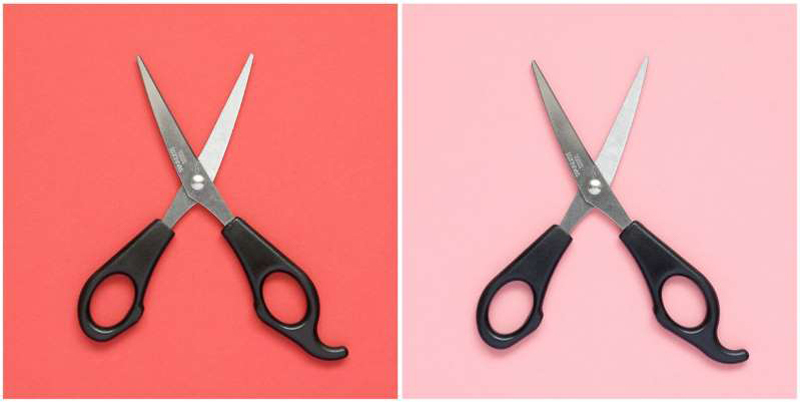 Double-check pre-set prices if they are available, because as Matthews explains, the texture or length of hair (and the additional associated costs) may already be reflected in the initial value of service. "When it is not, clients frequently tip on the higher end of the range," she says. It can be tricky to figure out whether to tip the person who washes your hair or the assistant who sets your rollers. Does your stylist pool their tips? Both Matthews and Saviano believe that the helpers for sure deserve their own monetary acknowledgement for their hard work. Despite there not being a set value applied to their services, anything between $5 to $20 is typical. "You might tip on the higher end-greater than $10-when your apprentice has spent a significant amount of time servicing you: severe detangling, applying treatments, styling and diffusing," Matthews says. "Some stylists prefer to finish and style their client’s hair themselves and the apprentice may be minimally involved in your service. This would be a situation where you may want to tip on the lower end-$5." Should the shop owner get anything? Nunzio says that clients often overlook the person in charge, but it's appreciated when customers recognize the effort put in to keep everything at its best. "Twenty percent for the owner is a nice gesture, but it's not mandatory," he says. Look for a second opinion. "I’d recommend always asking for front desk advice when in doubt," Matthews says. "It can be intimidating to broach the subject, but it’s less awkward than you think."